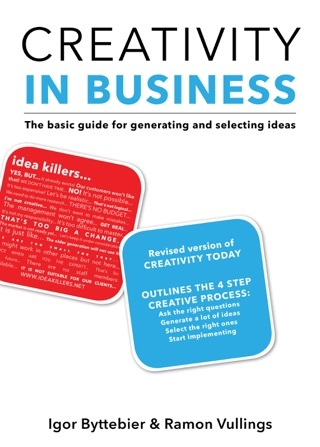 This inspirational, illustrated business book presents strategies & tools for cross-industry innovation. It emerged from hundreds of conversations with business leaders and innovators and is packed with ideas, approaches, and cases that you can apply in your own industry. 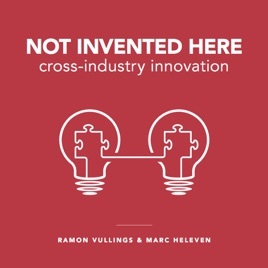 The authors -Ramon Vullings & Marc Heleven- would like to invite you to this quest called cross–industry innovation, learning from other sectors, not just to think outside the box — but even more importantly — to think outside of your industry. Ramon & Marc hope to inspire and enable you by developing your match sensitivity to make even better connections. Marc Heleven is a cross-industry expert, professional web searcher for innovation inspiration, business author, SlideShare Keynote Author, workshop & training facilitator and ideaDJ. This book is a clear call to open your eyes, look around you, take what you can (and it’s A LOT more than you think!) and move directly into action-mode. It’s not only handy and informative; it’s inspiring and fun. The book makes you want to start, get to work and be creative and innovative. It makes you realize there is so much to explore, and it gives you the tools to go and explore.